On the July 6 – 7, 2013 weekend, the Highway 417 Kirkwood overpasses were replaced using the proven Rapid Replacement method. I stitched together the following time-lapse video from the webcam feed provided by the MTO. Oh, and I’ve put this video on Youtube. My first one ever. Ooooo. I’m going to dig up my old Rapid Replacement videos too and put them on Youtube also given the problems I’ve been having with hosting recently. The Clyde Avenue Bridge Rapid Replacement was completed in 2007 and the Island Park Bridge Rapid Replacement was completed in 2008. This entry was posted in General, Technology and tagged Highway_417, MTO, Ottawa, Queensway, rapid replacement, time lapse video on 2013/07/07 by Jeff Ivany. 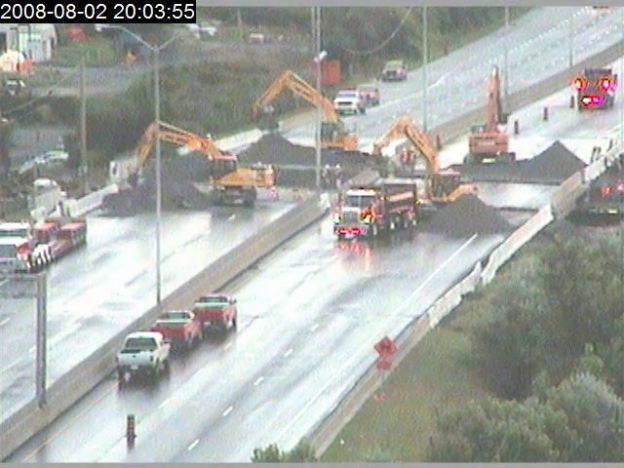 The Queensway (Highway 417) through Ottawa will be closed for about 18 hours from July 30-31, 2011 to allow for the rapid replacement of the Carling Ave bridge. This has already been done twice before on the Queensway with great success. When the Island Park bridge was replaced in 2007, I managed to capture images from a webcam that had been setup and produced a time lapse video of the Island Park bridge rapid replacement. I also managed to create a time lapse video of the Clyde Ave bridge rapid replacement in 2008. 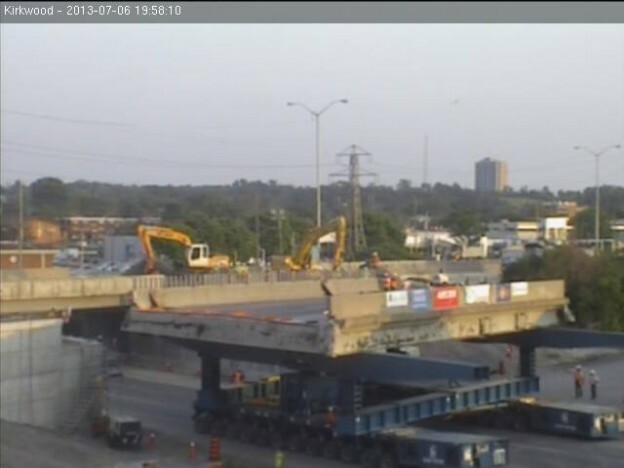 Unfortunately, I haven’t been able to track down a dedicated webcam for the Carling Ave bridge rapid replacement that is happening this weekend. I guess this method of bridge replacement isn’t “new and exciting” anymore. :) I was going to try and see if I could capture frames from the two nearby MTO webcams but this has proven tricky so far. I’ll update if I do manage to get something workable. Anyhoo, if you’re interested in checking out the action between 6PM EDT on July 30, 2011 until noon-ish on July 31, 2011, you may have some luck with the MTO COMPASS traffic cameras. This entry was posted in General, Technology and tagged Highway_417, MTO, Ottawa, Queensway, rapid replacement, time lapse video on 2011/07/27 by Jeff Ivany.